Advertising work has included commissions from Saatchi & Saatchi, Lowe Howard Spink, M&C Saatchi and Bartle Bogle Hegarty, for which he has won two Campaign Poster Awards and a D&AD award. Steve is also a Contributing Editor for MacUser magazine, and has taught at the University of Westminster and the University of the Arts London. 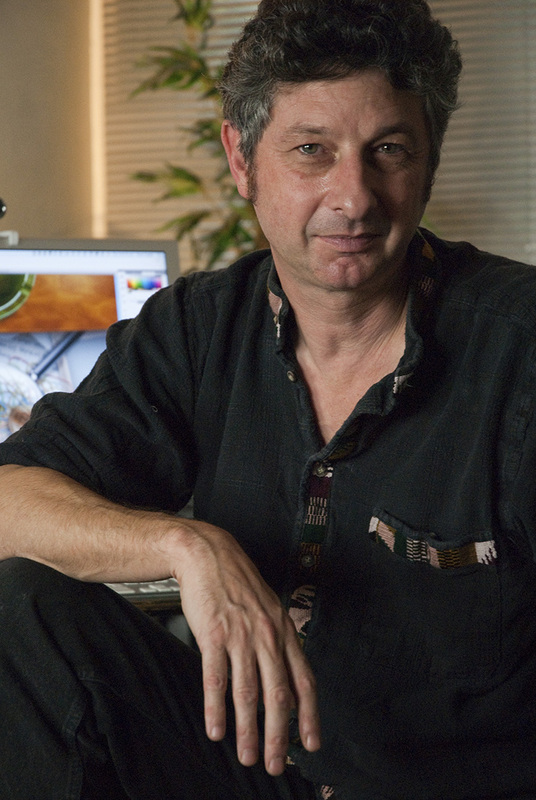 He has lectured on Photoshop techniques and the ethics of image manipulation around the UK, as well as in Norway and the Netherlands. Steve's other Photoshop books are the best-selling How to Cheat in Photoshop, now in its eighth edition, as well as Art & Design in Photoshop and 100% Photoshop. His non-computing titles include the Amazon #1 best seller Dad Stuff and its US edition, Be the Coolest Dad on the Block (2005), as well as Stuff the Turkey (2006), More Dad Stuff (2008), Complete and Utter Zebu (2009) and Fun and Games for the 21st Century Family (2010), all co-authored with Simon Rose. Steve plays the piano fairly well, the accordion reasonably and the guitar badly. When he's not doing any of those things he likes to build improbable sculptures, usually constructed from shop window mannequins, clothing and a lot of paint. You can see Steve's online portfolio at www.stevecaplin.com.